Advanced Physical Therapy is excited to continue to support the Mount Marathon Race, and more specifically, YOU—the racers! Leading up to the race, we will be providing advice and information to help with training, staying healthy, and injury management advice. Here are some of our favorite tips for staying in racing shape throughout the off-season. Many Alaskan winter activities and sports keep the ankle in a higher boot, which means the muscles in the lower leg and ankle take a break from participating in stability and balance. Yet come spring, activities like mountain running demand ankle control and proprioception (the body’s ability to sense position). There are several ways to get your ankles back up to par to keep you sprain-free on race day! Single-leg balancing: One tip to help improve this skill is to practice single leg balancing. Ensure you have ample space around you and consider starting with hand support onto a counter or chair if needed. 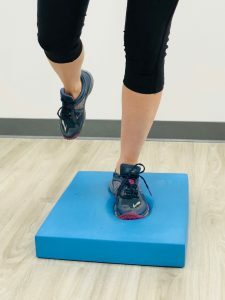 To make this more challenging, adding a soft or unstable surface can increase the reaction time for controlling subtle corrections for balance. Start with standing still, then add a small arm and other leg motion to progress the level of difficulty. For a real challenge, close your eyes. Ankle support: Do you have an existing ankle injury? Have you worn ankle braces or had your ankles taped for a race? Providing appropriate support to a joint or injured area at the right time through a healing progression is recommended. If you train with support (braces or tape) then use those on race day. On the reverse, if you don’t train with either, keep race day consistent and skip the taping. Seek medical and movement advice ahead of time in the pre-season to help know what is best for you. Getting to the top of the mountain creates a lot of demand to the buttock muscles. Activating and controlling the gluteus maximus and gluteus medius through the full range of the hip joint is very important. One exercise to help with recruiting these muscles is a dynamic hip “running man”. 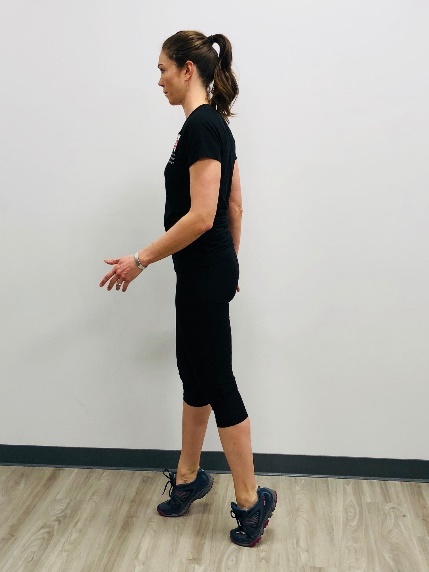 Start by balancing on one leg with the opposite leg brought forward and the other arm up (If standing on the left leg, raise the left arm and right leg). Move slowly through a running-like motion into a long stride lunge with the raised leg moving backward. 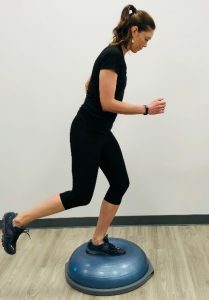 Controlling this motion with good balance can help strengthen the glute muscles on the leg you are standing on. 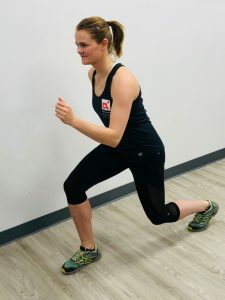 Strengthening and endurance training through the “posterior chain” (muscles on the back side of the body, generally used for extension) should also include the lower leg muscles. The calf muscles (gastrocnemius and soleus) can be strengthened through heel raises, as well as tip-toe walking. Getting into the full range of motion (the full movement) will ensure you maximize every step to get up 3,022 feet. Another common area of weakness that can be easily addressed is trunk or core strength. Core conditioning is a vital aspect for strength and performance, particularly for mountain running. 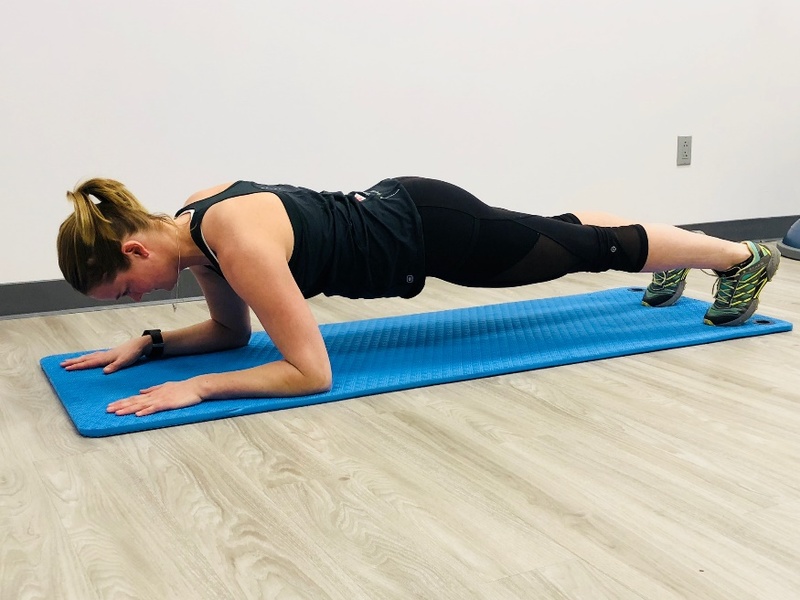 A plank exercise is a good skill to incorporate the upper body, trunk, and lower body by integrating alignment, coordination, and strength. Correct form in this exercise is of utmost importance. Keep your chin and head looking down, shoulder blades pulled away from your ears, elbows pulled toward the hips, abdominals engaged, glutes and quads active. Avoid collapse of the low back. Hold as long as you can maintain all aspects listed above. There is a common misunderstanding about stretching prior to activity. 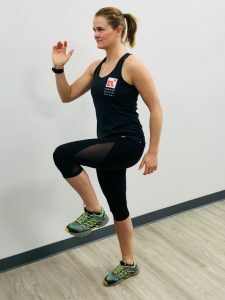 Several studies and research show that static stretching (place and hold a position for a period of time such as 30 seconds) can actually hinder muscle performance and neuromuscular control, the communication between the brain, nerves, and muscles. Keep this activity at the end of your training for the day, not before. Instead of stretching, consider repetitive, dynamic movement in your warm-up. 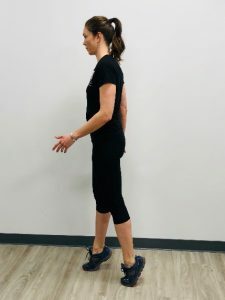 A walking lunge, brisk walk, or even skipping can warm up muscles and move through joint ranges to help prepare the body for long strides and muscle recruitment. 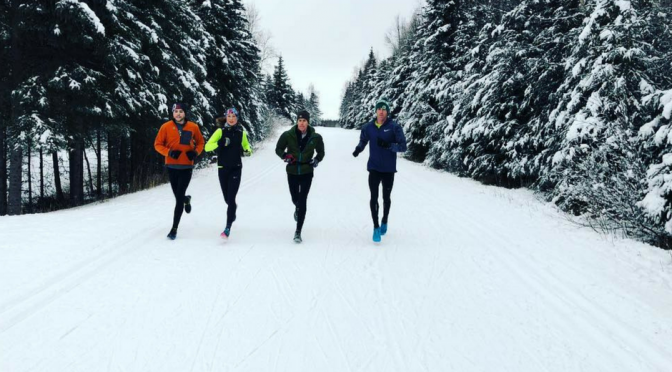 As the sun returns and you start training on the dirt versus snow, we encourage you to maintain safe and effective training. Advanced Physical Therapy understands your investment in and passion for mountain running. Optimizing movement and catching an injury before it happens can ensure you stay healthy leading up to race day. 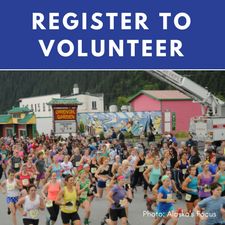 We are excited to offer exclusive clinics for race participants leading up to the 2018 Mount Marathon Race. We plan to provide Functional Movement Screens to help catch any weak areas you may have and offer advice for corrective strategies and exercises. Stay tuned for more information! Advanced Physical Therapy (APT) provides research-based care and respectful service at their five locations across Southcentral Alaska. You’ll find their skilled physical therapists in Anchorage, Fairbanks, Seward, Soldotna, and Wasilla. APT is proud to be a leading partner of the 2018 Mount Marathon Race. Visit Advanced Physical Therapy online to learn more or schedule an appointment.